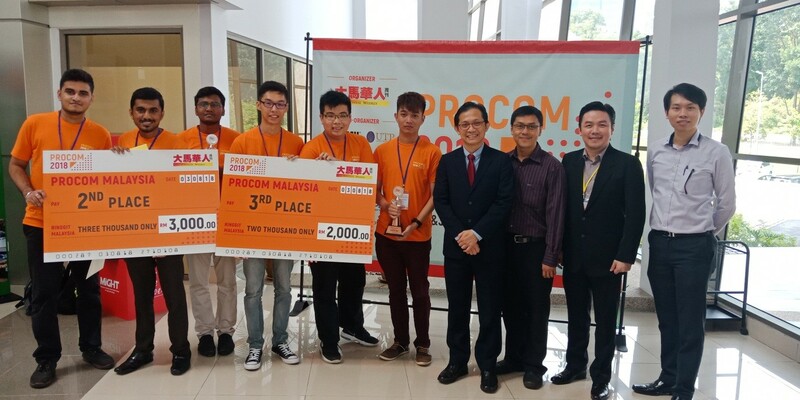 We are proud to announce that two teams from Faculty of Engineering and Technology (FET) and Faculty of Information Science and Technology (FIST) emerged as the 1st Runner-up and 2nd Runner-up respectively at Software Programming Innovation Competition 2018 (PROCOM 2018). The competition was organised by Chinese Weekly together with MMU as one of the co-organisers. It was held at Malaysian Industry-Government Group for High Technology (MIGHT) on 2 and 3 August 2018. 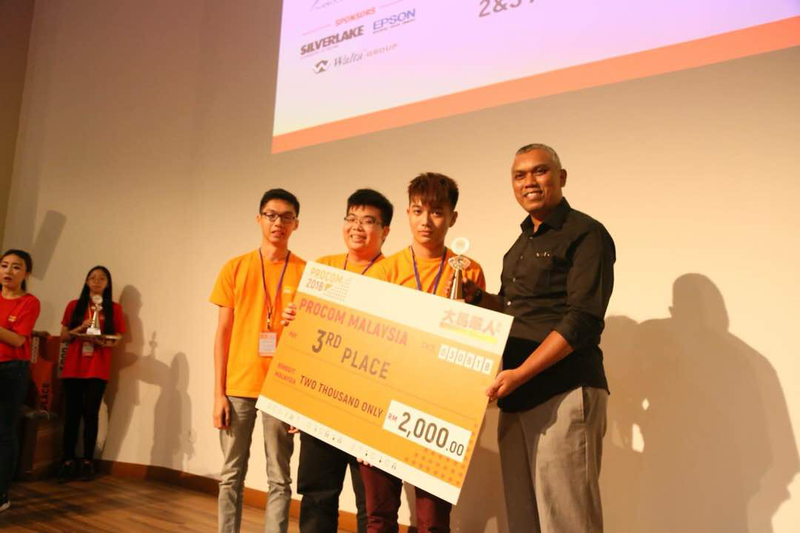 MMU teams, which were represented by FET team with its members; Viknesh Kumar, Dinesh Kumar, Yuvanesh Kumar and Dr. Yeo Boon Chin (Mentor) with the project entitled “Electronic Floor Mat” received RM3,000 of cash prize while FIST team with the group members; Wong Wai Kit, Lim Shao Kim, Lim Chung Heng and Dr. Michael Goh Kah Ong (Mentor) received RM2,000 of cash prize with their project, “CloudPark”. 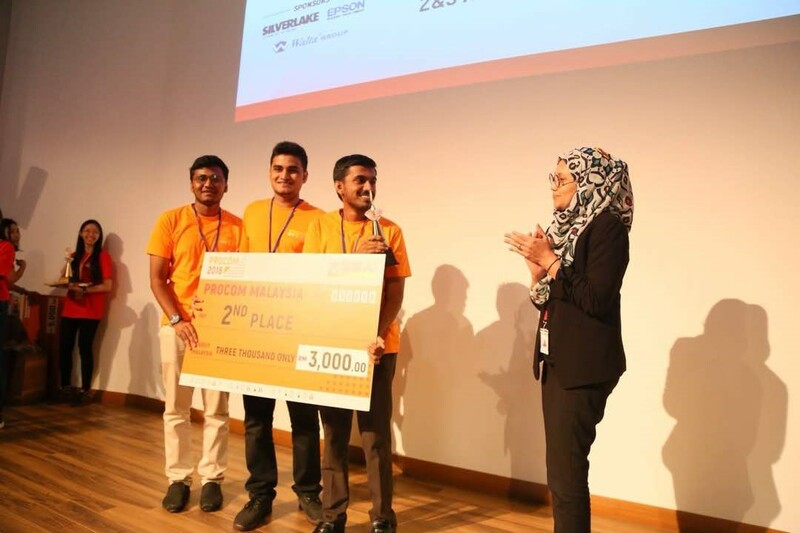 A team from Universiti Tunku Abdul Rahman (UTAR) emerged as Champion in the competition. 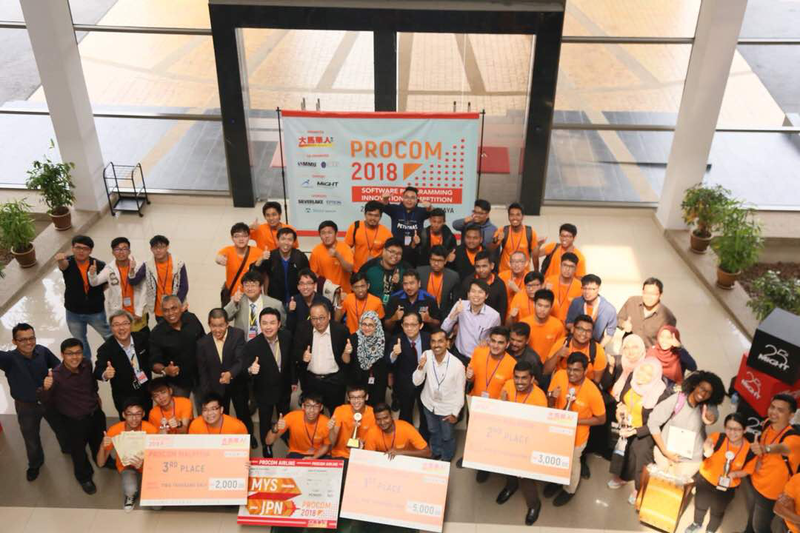 PROCOM 2018 aims to create environment to nurture innovative young generation to be well-prepared for Industry 4.0 and to promote exchange between Malaysia-Japan students. The competition was opened to all students from public and private higher learning institutes in Malaysia. Each competition team must be formed with 3 students and one mentor, and the team needs to develop software application, which is executable on computers or tablets based on their own theme and innovative ideas without violating intellectual property rights of any parties. During the competition, the teams presented and demonstrated their projects. The teams and projects were evaluated by five judges whereby the two of the judges came from Japan. The evaluations focused on the originality, applicability, operation performance, system development, manual writing skill, and presentation skill. The competition was well received and many visitors came to the booths of the contestants during the event.